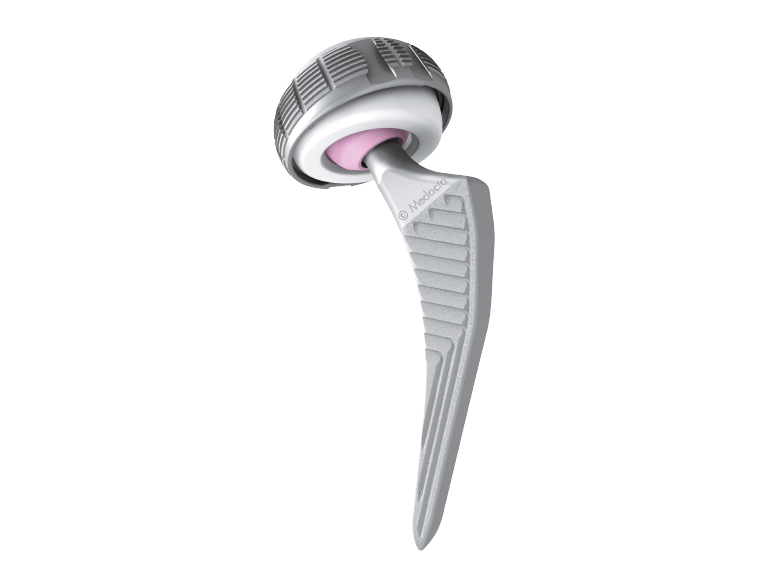 Over the years hip arthroplasty has had to adapt to patients living longer, presenting surgeons with a greater variety of needs. Stability, load, stress distribution and respect for anatomic structures are critical to the success of any press-fit cup implantation. The Versafitcup CC Trio is the latest development in the Versafitcup System, which offers a complete product range to meet many of today's most common challenges. 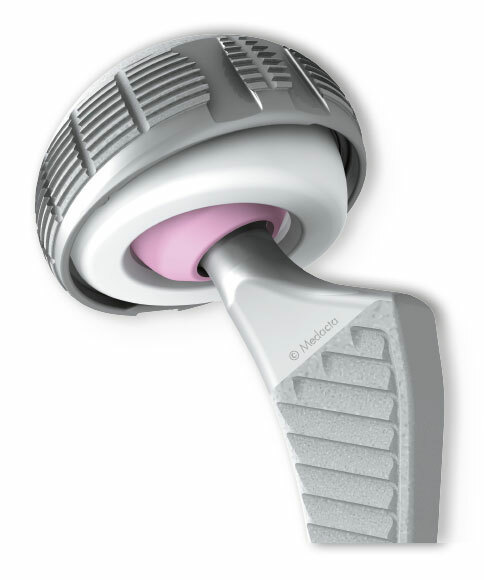 Evolving from the Versafitcup CC and CC Light (60,000+ implanted since 2004 with excellent clinical results) the Versafitcup CC Trio has the same external characteristics, but several additional benefits as well. 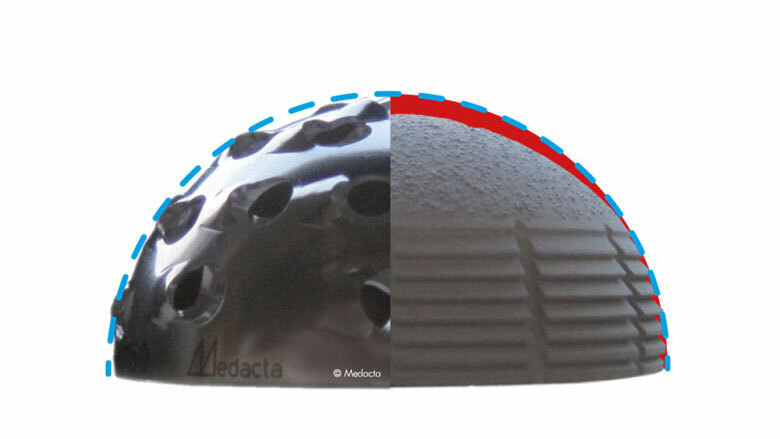 The Versafitcup CC Trio inner shell has been re-styled to accommodate the use of larger heads to best meet the needs of patients and surgeons, while restoring biomechanics. Versafitcup CC Trio No-Hole. Together these form the Versafitcup CC Trio Family. The elliptical shape of the cup guarantees an adequate press-fit in the equatorial region, enhancing primary stability. Mechanical studies demonstrate that the Versafitcup CC Trio clipping system optimizes the rotational stability of UHMWPE liners and minimizes stresses in the equatorial area. 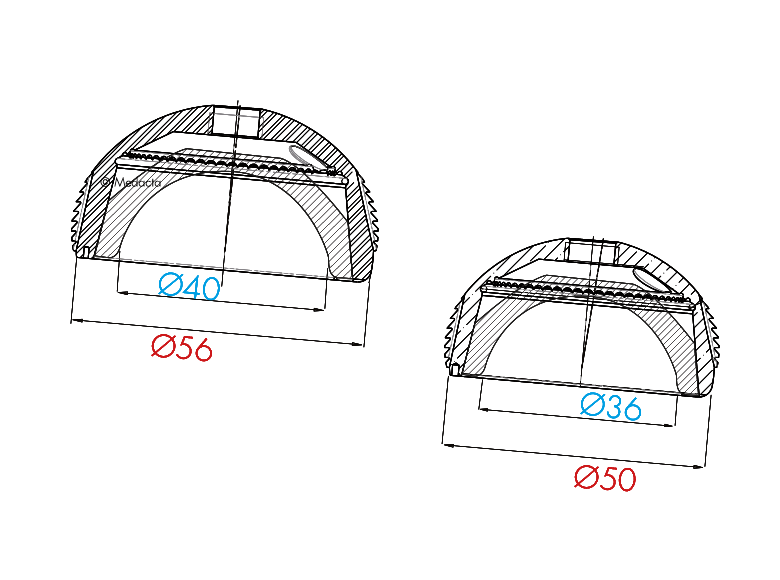 The 5° raise augments the coverage and decreases the risk of edge loading. Published documents describe the advantages of using larger heads to augment ROM and prevent dislocation. 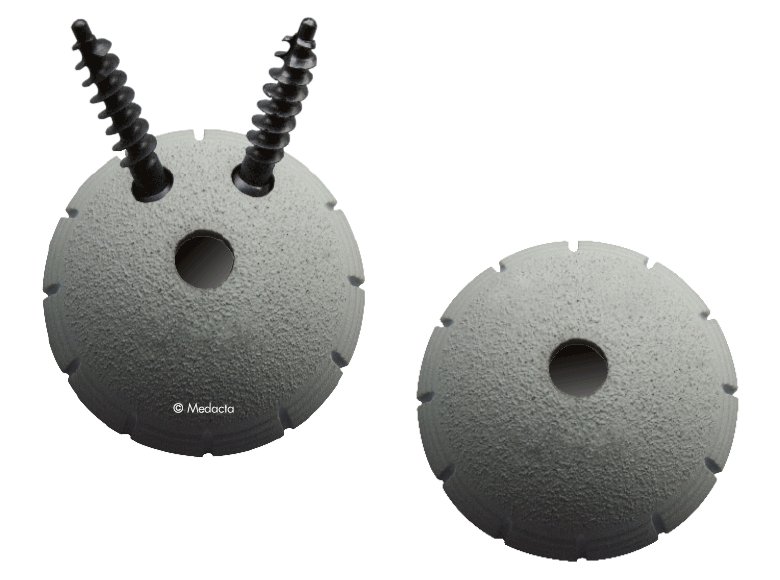 In cases of Highcross UHMWPE bearing it is possible to use a 36mm head with acetabular shells from size 50 and a 32 mm head from size 46! 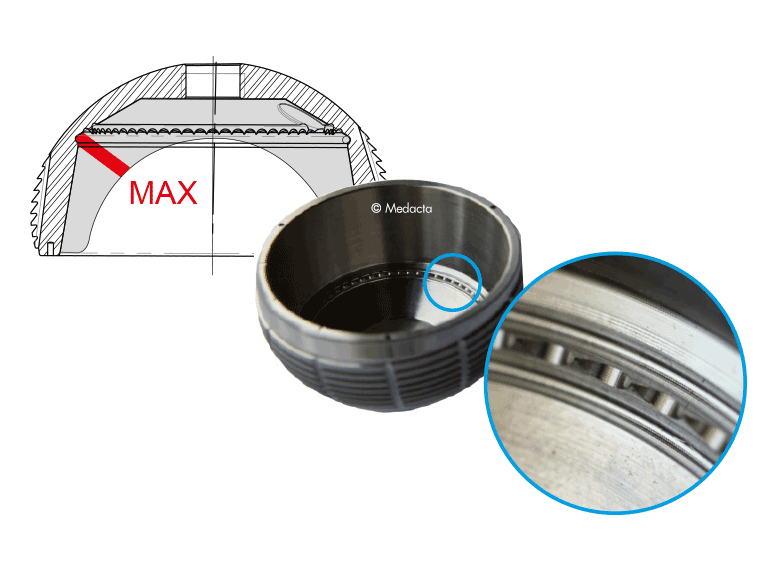 Versafitcup CC Trio No-Hole shares the same geometry, material, coating and liner coupling as the Versafitcup CC Trio but without the lateral screw holes. Both shells can be used with UHMWPE and Highcross UHMWPE liners. 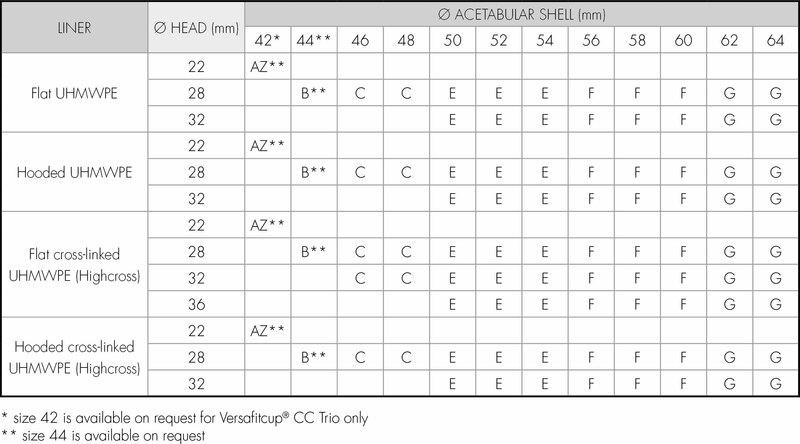 The lateral screw holes of the Versafitcup CC Trio offer the possibility to increase fixation with flat head cancellous bone screws. The elliptical shape with polar flattening provides gradual load transfer avoiding stress peaks and ensuring a good primary stability. 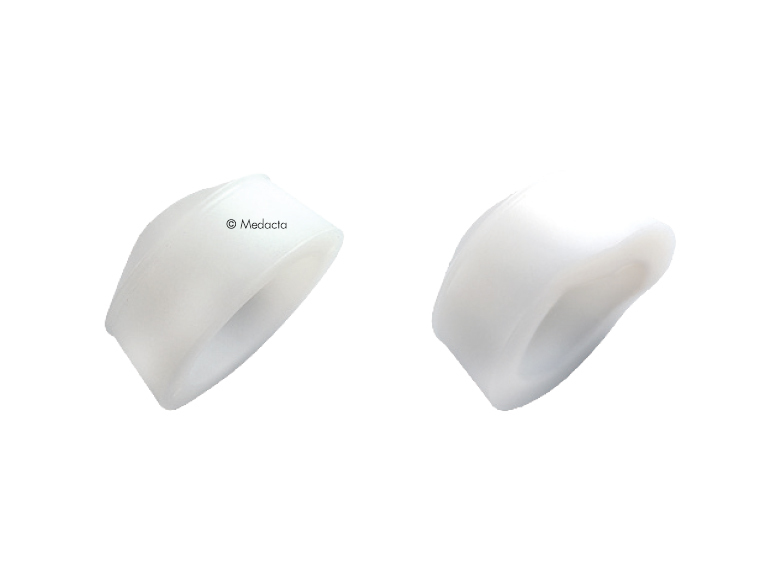 The equatorial macrostructures are 0.7 mm diameter circular retaining splines which increase the contact between the implant and the bone by 30 to 40%. 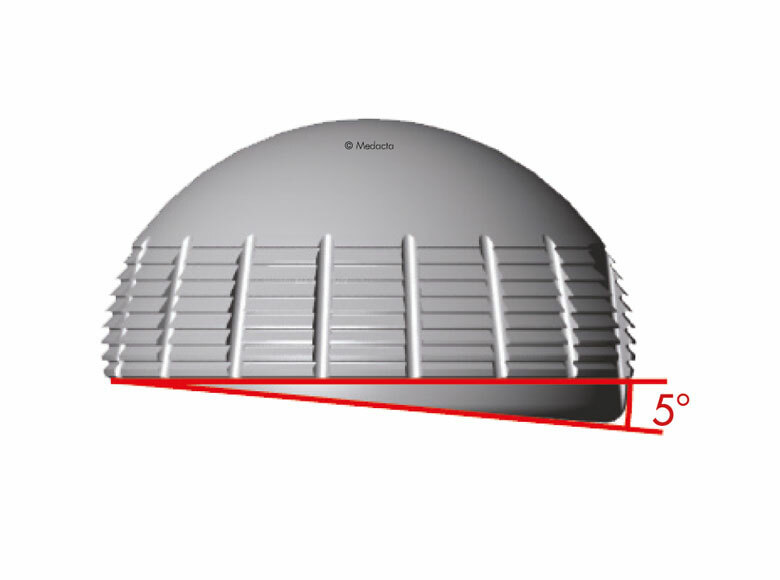 The shell has an optimized thickness that guarantees the use of big heads avoiding the risk of shell deformation. A 5° upper raise provides additional coverage for increased stability and antiluxation. A clipping system placed out of the equatorial weight bearing area and in correspondence to the thickest region of the UHMWPE liner. 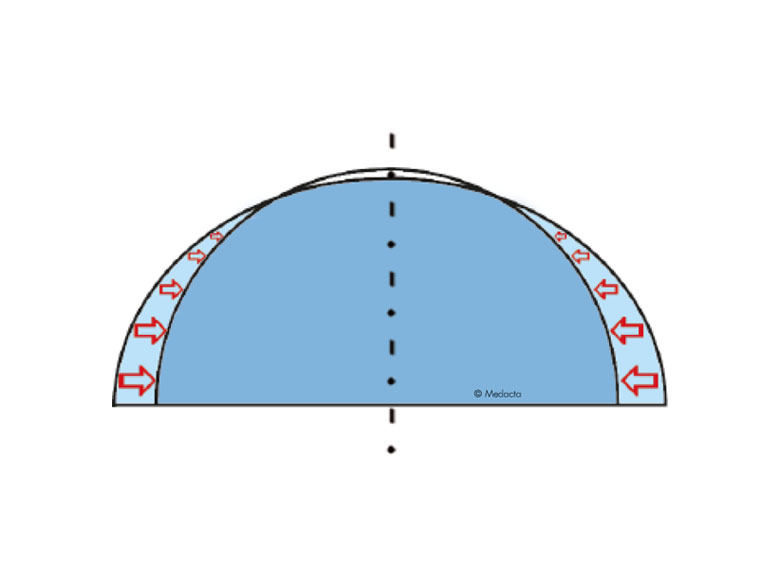 This design minimizes stresses at the liner-shell interface and avoids the fracture of the liner rim should impingement occur. 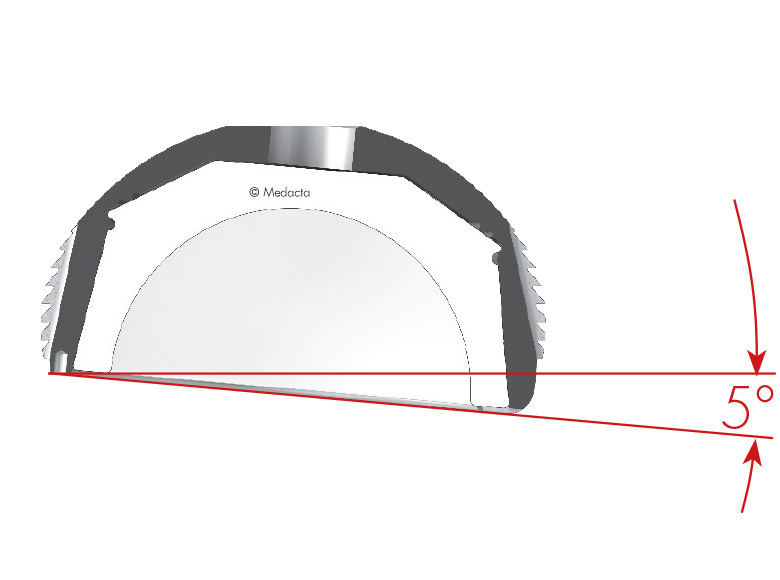 A multiple teeth crown which minimizes rotation and micromovements preventing backside wear. 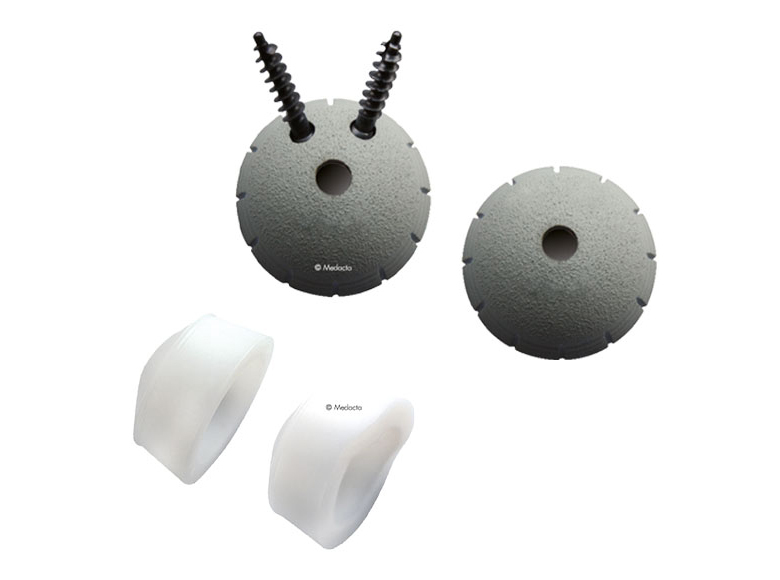 For lateral hole fixation of the Versafitcup CC Trio, titanium alloy, flat head, cancellous bone screws ø 6.5 mm (20 to 45mm long) are available. For both Versafitcup CC Trio & Versafitcup CC Trio No-Hole versions a metallic plug can be used to close the central hole. 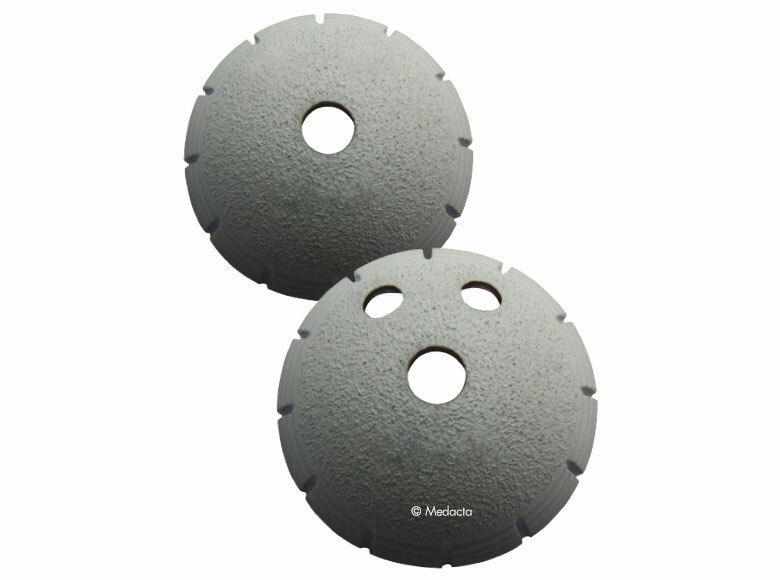 Both Versafitcup CC Trio and VersafitcupCC Trio No-Hole shells are made of Titanium Vanadium alloy. HA (Hydroxyapatite) coating, thickness 90 μm. Polyethylene liners are available in UHMWPE and Highcross (cross-linked UHMWPE by Medacta®), both in standard and 10° hooded versions. The Versafitcup CC Trio is the latest development in the Versafitcup system, a complete system of elliptical press-fit cups that share the same instrumentation. The system includes press-fit cups both with and without screw holes (Versafitcup CC Trio No-Hole) alongside the Versafitcup Double Mobility. 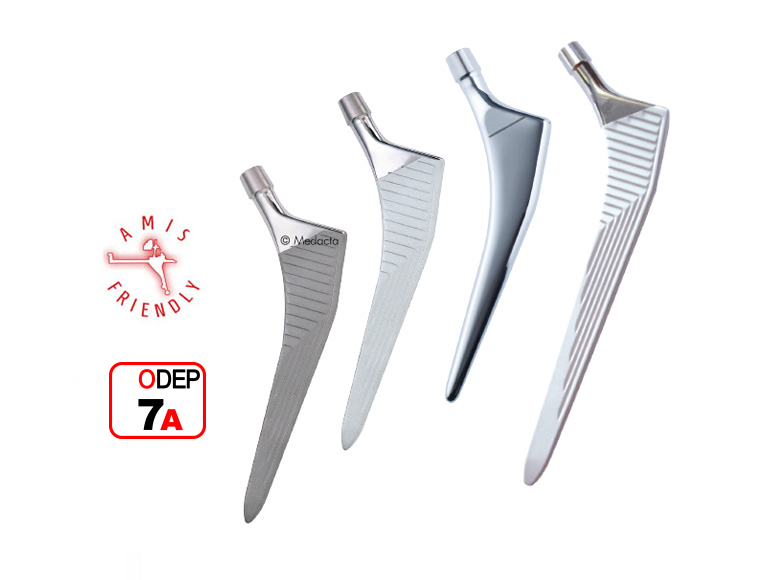 Medacta International is the world leader for educating and supporting surgeons in their pursuit of Anterior Minimally Invasive Surgery (AMIS®). 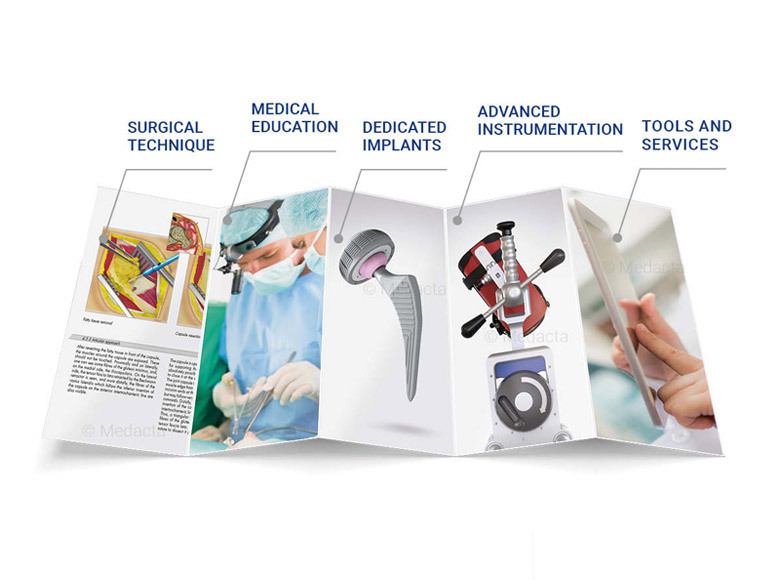 Reference Centers, located throughout the world, provide the necessary AMIS educational experience and Medacta offers continuous support for surgeons, as well as constantly improving and developing the industries most specialized instrumentation platform. 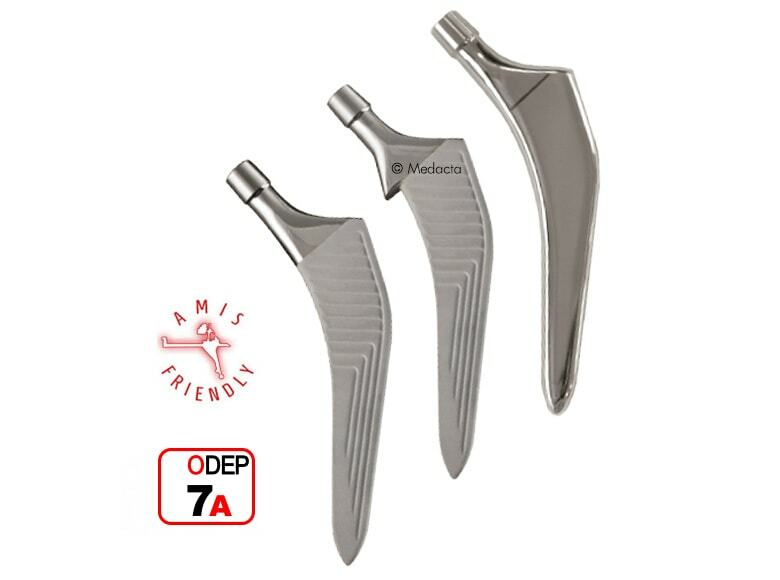 Using Versafitcup CC Trio you can enter Medacta International’s world of AMIS! 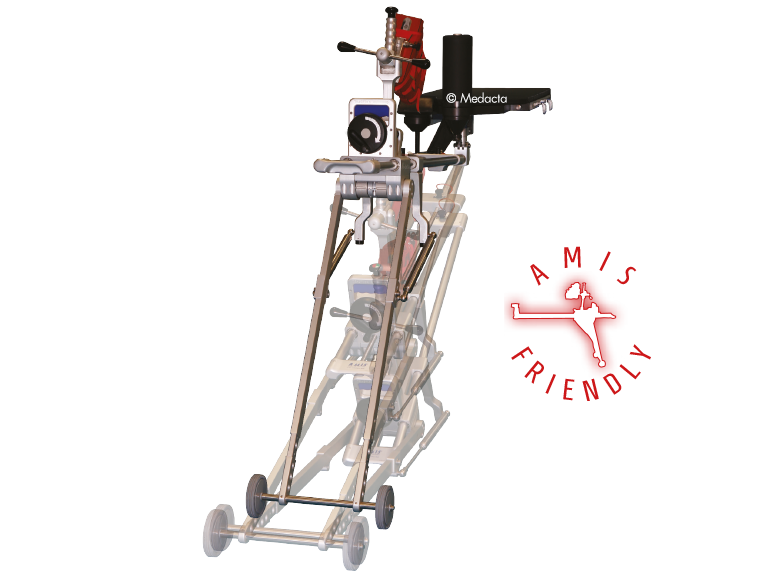 The AMIS Education Program based on Medacta’s proven educational methods.